Pride Make Up: My Top 10 Amazing Brushes & Building your brush collection..
My all time favorite brush... My go to for ultimate blending! This is a multi-purpose brush that can be used to “feather” out the outer V, blend any harsh lines, apply a light coat of paintpots as a base, or even apply concealer under the eyes. 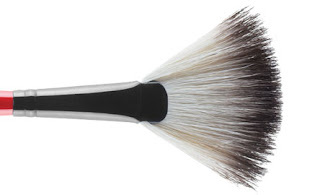 This is the most versatile brush I have ever come across, I've tried other blending brushes but none of them have compared to the MAC 217, and I haven’t found a cheaper alternative yet. This would actually be the first brush I would go to buy if I was just starting out. amount of color. The size of the brush is also perfect for fitting just right on the lid. I love this brush so much, to me it's perfect... I use it every time I'm applying make up on myself or any of my models. This brush is perfect for blending out harsh eyeliner, It's awesome to make that perfect smoky look with the eyeliner you just applied. Smudging shadow under the lower lashes, or creating a very defined outer V. Since the brushe is stiff, it picks up a good amount of color. I reach for this brush everyday as it works perfectly for any type of “smudged liner” look. LOVE this brush!!! The Pencil Brush! This is my go to brush for my every day application of my foundation for that airbrushed finish look. I swear by this brush! I love it so much, I have 2 of them. 1 for my personal use and one for my shoots. Just place your foundation on the back of your hand, dip the brush in, and stipple it all over your face starting at the center of your face working out towards the temples. Remember you don't need to cover your whole face with foundation... A little is a lot! 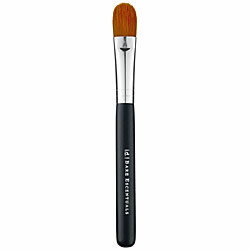 MAC has this brush pretty expensive.. but the price is very much worth it for the work it provides. ok, let's make one thing clear I have Now I realized that there are TONS of angled brow brushes out there, but this one is the perfect size and stiffness for me. I have tried small ones, less stiff ones, but this one has worked perfect for me. You can deff try different ones, but if you get to try this one and it works for you... I say CONGRATS because it's my fav brow brush. It applies powder perfectly to the brows. The stiff bristles pick up just the right amount of color. I use this everyday for filling in my brows with Smashbox Brow Tech Palette. It's perfect it contains all the colors that you might need to get that perfect brow. I LOVE LOVE LOVE this brush... It's perfect for highlighting applications on your cheeks or jawline. The brush is so light it's just perfect! You can use it to apply Bronzer, Blush, Highlighter... I use it on my every day applications.. If you don't want to apply to much brush one day, pick up your fan brush and wish the brush across the apples of your cheek and it will apply just the right amount of brush to make you have a tiny bit of color. It's also perfect for picking up any excess fall out after applying shadow. A truly must have in your brush case. This slanted or angled blush brush is perfect for applying just the right amount of blush or precise contouring to the face! Its soft bristles pick up just the right amount of color and apply just the right amount as well. The angled shape follows the natural contour of your cheekbones, so it is pretty much foolproof on where to apply your blush. This soft bristled rounded brush is perfect for creating a super soft shadow in the crease of your eyes for amazing blending results. 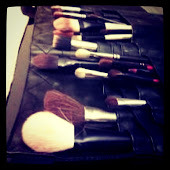 If you are a beginner in using makeup brush this is a TOTAL must have! I have also found that you use it to apply concealer as well. It won't allow the concealer to crack when applying. Playing with your brushes in different ways allows you to find multiple ways to use them. Everyone keeps asking me how do I apply my eyeliner so perfect, ok with the help of this beautiful little fellow here... This bent liner brush is perfect for applying gel liner and creating that beautiful cat liner effect! The bent handle allows you to easily drag the liner to get a perfectly straight line. I use and reach for this brush almost everyday or better yet when I'm doing the cat eye, its so much easier than applying liquid liner. This brush has smooth, synthetic bristles allowing you to grab just enough concealer to apply under your eyes or in places that need that extra amount of cover up. The brush allows full, concentrated coverage that blends into skin flawlessly. This is the one brush I use for all my coverage I don't use anything else under my eyes or around my nose area. If you are like me and have those tiny veins around your nose area, this brush will do magic covering those up. A MUST HAVE. Ok, my gorgeous beauties.. That's it. Those are my all time favorite brushes. I truly hope this entry helps some of you choose the right brushes for you. If you have any questions I would be more then happy to try and answer them for you and get you the right answer. Don't forget, check out my Facebook fan page as well... www.facebook.com/pridemakeupbyjmz1 for my crazy world in makeup and daily beauty tips..